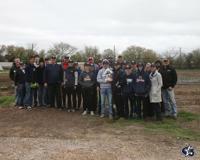 C3 Futures is proud to support Shiloh Field Community Garden. Shiloh Field, at 14.5 acres, is the largest community garden in the country. Shiloh Field grows and provides food to fourteen different ministries and organizations. Hey Everybody, attached to this email is truly the heart of our program and we are constantly searching for avenues to help others and pour back into God's family! One of our C3 families in the baseball program has come across a community of people in major need of basic things. I encourage everyone to take a minute to open the attachment and read this short page about the specifics and plan to step in and BE the answer for these families! The Johnston's are planning on making the first trip to them by the end of the month (October). With Thanksgiving and the holidays on the way it's very important that we work in a timely fashion and get things together now. Everything is able to be dropped of at their house anytime and/or the indoor facility at your convenience, but we need it to be soon! As they put it, we need "Futures Nation" to bring it for these people and I don't think that will be a problem. As the Lord leads you and your family, any gift cards or donations outside of the box are also more than welcome. Have a blessed day and lets get this in motion now so by next week all the donations have been properly dropped off at one of the locations. If you are a coach receiving this email please forward to your team. I am so thankful to have an avenue of reaching out and yall are the avenue. Below are a few scriptures that are important and great reminders of the heart of God, and again do what you are able and don't feel obligated in any way. Have a blessed and great week and thank you again for allowing our program to reach out to its families. Futures Baseball is sponsoring a used equipment drive to benefit the Boys & Girls Clubs of Greater Fort Worth. 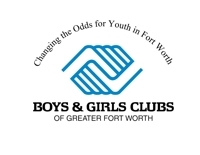 The Boys & Girls Clubs of Greater Fort Worth give kids and teens a place to call their own, where they can have fun, get a hot meal, get help with homework, be creative, be part of a team, hang out and get encouraged. We offer safe, fun, inspiring places that kids and their families count on. Please bring any gently used sports equipment you may have to our drop off. Equipment for any sport is welcome and please encourage any one else you know who may have any unused equipment to bring it too. There is a great need for this by children in certain parts of Fort Worth who don't have any sports equipments at all. Unfortunately, many children in poverty stricken areas will never have the opportunity to enjoy sports without the help of these donations. Please do your best to take the time to come by and make a great donation to provide areas of hope for these kids in need. If you have any questions or would like to make alternative arrangements, please call 817-938-7241.